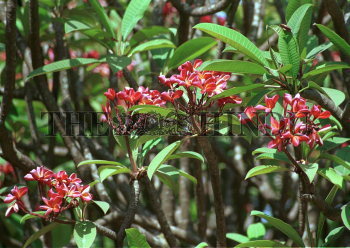 Caption : Plumeria Rubra, known as Frangipani (Jasmine Tree) in English, in full bloom in Bangalore. Photo: T.L. Prabhakar.